Organic farmers and other environmental entrepreneurs are a romantic lot, but they don’t have the opportunities for training and finance that providers of solar and wind technologies do. That’s set to change with the launch of ECOSTAR, a university-business hub that links the world of markets to that of ecosystem services science. The project launches on June 15th with a call for nature-based start-ups interested in learning the ropes. 23 May 2017 | The word “start-up” likely conjures images of two or three scruffy college kids tapping away on computers in a garage rather than foragers gathering wild mushrooms in Italian forests. But the entrepreneurs behind the wild mushroom production company Fungo di Borgotaro IGP require investment and training in the ways of free enterprise just as new tech companies do. They often don’t get it though, says Luni Libes, a longtime entrepreneur and founder of Seattle-based Fledge, the “conscious company accelerator,” which provides financial support and mentorship to fledgling businesses that make money but also do some sort of good. Several partners are crafting an initiative to counter this dearth in support at least for environmentally-focused new businesses. 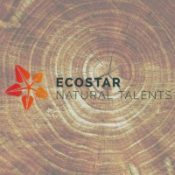 Called ECOSTAR, it’s a resource hub that offers technical, financial and entrepreneurial support from experienced business people to nature-based companies throughout Europe. Alessandro Leonardi, the CEO and founding partner of environmental consulting firm ETIFOR in Italy, is one such experienced entrepreneur. A forestry student, Leonardi came up the hard way with little business assistance when establishing, with partners, a consultancy that provides technology transfer services linking scientists with market players. Leonardi is one of ECOSTAR’s creators and aims to use the project to alter this current paradigm. A primary way he and the project’s other creators aim to do this is with ECOSTAR’s Nature-Accelerator, the first business accelerator specializing in supporting nature-based companies. It functions as a finishing school of sorts for entrepreneurs. The accelerator will select eight early-stage start-ups developing sustainable ventures in forestry and farming among other resource sectors to enroll in an intensive 10 week online entrepreneurial training course. They will also receive roughly US $16,000 in seed investment and benefit from the ever-growing ECOSTAR network of business people and environment and economic academics. Originally, ECOSTAR developers had planned for a shorter training section but the world of social impact is small. Contacts introduced Libes, who was looking for partners in the European Union, to Leonardi and not only did Libes suggest extending the program to Fledge’s format of 10 weeks, Fledge came on board to provide additional support and the seed capital. The Nature Accelerator is then powered by Fledge, which marks a new type of partnership for the company. Libes says it’s an opportunity to engage with institutions and organizations interested in social good and learn about aspects of impactful entrepreneurship it isn’t yet familiar with. The ECOSTAR hub operates as a public-private partnership that connects researchers of nature and ecosystem services with green entrepreneurs and is funded by both private investors and the European Commission. Typically, these green entrepreneurs monetize ecosystem services such as clean water or stored carbon in a creative way. There’s the aforementioned Fungo di Borgotaro IGP, which promotes local biodiversity and forest resilience and conservation. Another is Upstream Thinking, a venture in England that protects drinking water supply by paying landowners to practice sustainable agriculture, which reduces water pollution. Researchers at ETIFOR and the University of Padua basically wanted to branch these businesses out beyond payment schemes and think more broadly about investments and ways in which to promote and market ecosystem services. Their ideas and work on the subject eventually evolved into the ECOSTAR project, and the Polytechnic University of Madrid, Universities of Manchester in the UK and Brasov in Romania came on board along with business partners in each country. Now, as its developers prepare for an unveiling, ECOSTAR functions as a constantly evolving network that consists largely of three moving parts. The first step encourages investors, experienced entrepreneurs, students and researchers to join the ECOSTAR network while the second step centers on the learning and training aspect of the project. The third main area is the first-of-its-kind Nature-Accelerator. Leonardi says they’ll start accepting applications for the accelerator on June 15th, the project’s launch date, and start the training program in 2018. Leonardi and Libes both stress the positive impact these starts-up must have on ecosystems and communities. ECOSTAR will launch officially next month on June 15th with events in Madrid, Manchester, Rome and Brasov. And while not an institution of higher education or a business or private investor, Ecosystem Marketplace is also an ECOSTAR partner and will be on hand in Rome to launch some first-of-its-kind research produced through ECOSTAR. Drawing from its data used to track environmental market activity globally, Ecosystem Marketplace Senior Associate Genevieve Bennett will present findings on market activity exclusive to Europe. Specifically, ECOSTAR will launch three new market outlook reports, which will focus on watershed investments and carbon and biodiversity markets in Europe. An Ecosystem Marketplace report on private investment in conservation identified a major barrier slowing down the flow of private capital toward nature-based enterprises, and it’s something ECOSTAR may be able to help with. The report reveals that private investment in clean water, biodiversity and sustainable food production is growing with a 62% rise in the two years between 2013 and 2015. Between 2004 and 2015, private investors funneled $8.2 billion into conservation. That number is somewhat dwarfed by public sector spending, however. In 2015, for instance, governments around the world paid nearly $10 billion on investments in watershed services alone, according to a 2016 report. A challenge private investors say they face is a lack of deals with the right mix of risk and returns. Leonardi says the ultimate goal for ECOSTAR is to have a positive impact and one large way they hope to do that is fill this void for entrepreneurship training. Leonardi adds this gap isn’t because of a lack of interest among emerging environmental professionals. An ECOSTAR report based on questionnaire responses revealed many science students recognize market-based solutions are important and would like to learn more. “There is a lack of entrepreneurship and innovation studies and training related to the environment in universities throughout Europe and the world,” he says. As a start to solve this problem, ECOSTAR partnering universities will now teach an entrepreneurship course within their environment departments. The classes are one of the many moving parts of ECOSTAR, which are ultimately meant to achieve one thing. “ECOSTAR is about turning research into action,” Leonardi says. It’s about transferring knowledge into real on-the-ground solutions for economic development that works with nature instead of against it.